Dubbed The Tron, Hamilton is a unique city of natural wonders and adventurous activities. South of Auckland, it is the largest city in the Waikato and is built beside a river of the same name. Here are all the best things to do in Hamilton. 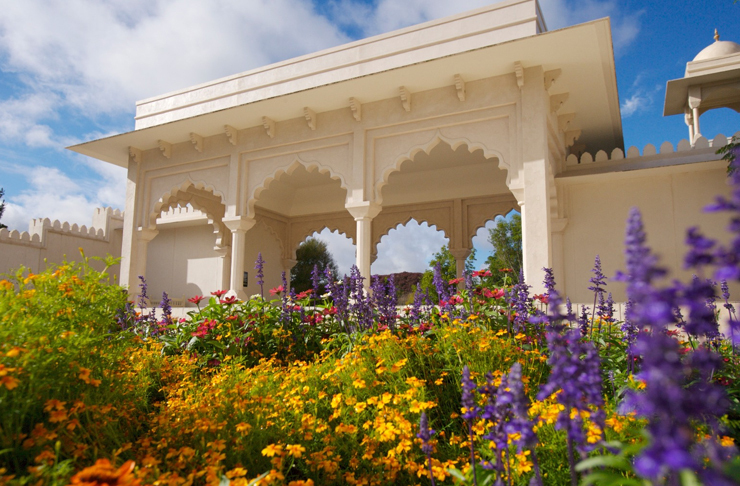 The Hamilton Gardens are one of the most popular tourist attractions that draw visitors to the city. Growing from four hectares in the 1960s to now 54 hectares of flora and fauna, the gardens are still growing every day. As opposed to most gardens around the country, Hamilton Gardens are not botanic, they focus more on different cultures and religions. There are more than 20 attractions including the Indian Char Bagh Garden, Italian Renaissance, Japanese Garden of Contemplation, Chinese Scholar’s Garden, English Flower Garden and the Tropical Garden. On Tuesdays and Thursdays, you can opt to take a guided tour, or take a walk at your own pace. When hunger strikes, head to the Hamilton Gardens Cafe. Dog-friendly and with an alfresco dining area with views across Turtle Lake, on the menu you'll find the likes of doughnut waffles with grilled peach, raspberry, raspberry mascarpone with crunchy hazelnut praline, fish and chips and that Kiwi classic, bubble and squeak. If you're keen for a little romance, pre-order one of their gourmet picnic baskets. Filled with a variety of sweet and savoury foods, there's also a blanket included. 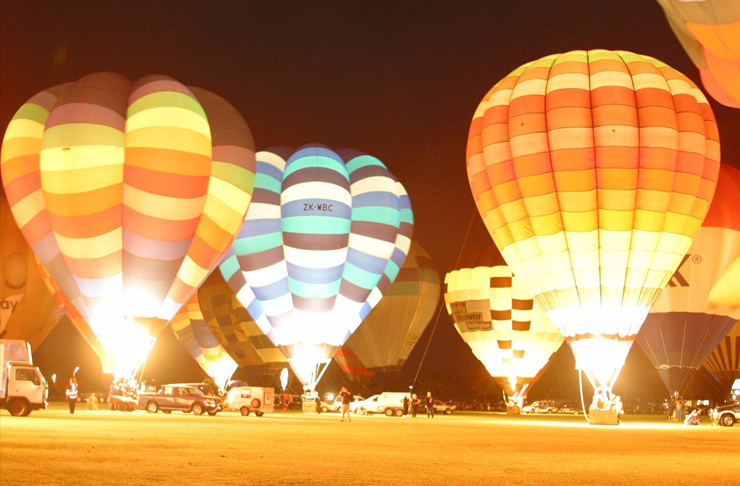 It’s a universal agreement that a hot air balloon ride should be on everyone’s bucket list. Make your dreams a reality with Kiwi Balloon Company in Hamilton. The experience begins at dawn with watching the balloon inflate before gently ascending to catch the sunrise from above. In the basket, you’ll be able to see views of the city, farmland, and the Waikato River, as well as Ruapehu, Pirongia, Te Aroha, and Taranaki on a clear day. The flight lasts approximately an hour, with the wind deciding exactly where your trip will take you. The serenity and stillness of being in the open air will be a memory to cherish forever. On the ground, everyone helps back the balloon away and then return to the launch site for a traditional celebration of complimentary bubbly and snacks at a restaurant. There are so many great bike trails in and around Hamilton including the Te Awa River route, Waikato River trail, and multiple bike tracks around Hamilton city. There’s no better place to rent a bike than from the experts themselves, River Riders. E-bikes, 3G bikes, tandems, kids bikes, stepperFITs, cruiser bikes, and 3 wheelers are all available to rent, and each bike hire includes an app with maps, a tool kit, first aid kit, tube and puncture repair kit, bike lock, and on-call service. Take a cruise along the riverside, racing the rapids, or hang around town and take a pedal around the Hamilton garden grounds. Providing a nurturing home for more than 600 native and exotic animals, Hamilton Zoo is the place to go for some animal spotting. The zoo has dozens of exhibits and rare species, many of which are specifically unique to Hamilton Zoo including Rukiya, Zumo, Tafari, and Msaka the African painted dogs, Sikanni the bobcat, and Itam and his wife Luri who are both siamangs. Aside from wandering the zoo, there are meet-the-keeper talks and animal encounters daily at the park, where you can get face to face with lemurs, giraffes, and rhinos. While Hamilton can be a place of adrenaline and adventure, there are definitely options for those choosing to take a more leisurely stroll through life. Hamilton Lake is the perfect spot for a walk, bike, picnic, or game of backyard cricket. The waters are calm (perfect for a kayak or paddleboard), and provide stunning views for a scenic walk. Pack a picnic lunch, kick around a ball, or even give kite flying a chance, Hamilton Lake is idyllic for a day at the park. If you’re looking to get the heart rate up and racing, Hinterland Adventures will have something to suit your taste. From paintball and outdoor laser tag to clay bird shooting and archery, there are activities for every interested and skill level. Available for small or larger groups, and situated just 15 minutes out of the city, Hinterland is the perfect place to spending some bonding time with your friends, family, or colleagues. Spring brings with it daffodils, primulas, and tulips, but arguably the best thing to bloom in September are cherry blossom trees. The Japanese cherry blossom symbolises the start of spring, a time of renewal, and the delicacy and fleeting nature of life, due to their very short life span. Hamilton’s English Cherry Tree Manor in Tamahere is home to a cherry blossom lane with trees towering metres in the air, connecting at the top to create an arching roof of flowers. The Waikato Cherry Blossom Festival is held in late September, with tickets often selling out in a matter of days. Hobbiton is without a doubt one of the must-see places in New Zealand. In 1998, Peter Jackson and his team scouted the country for the perfect location to build Hobbiton and luckily for us, he stumbled upon Alexander Farm in Waikato region. The Shire, remaining intact from the Lord of the Rings trilogies, is just a quick drive out of Hamilton. 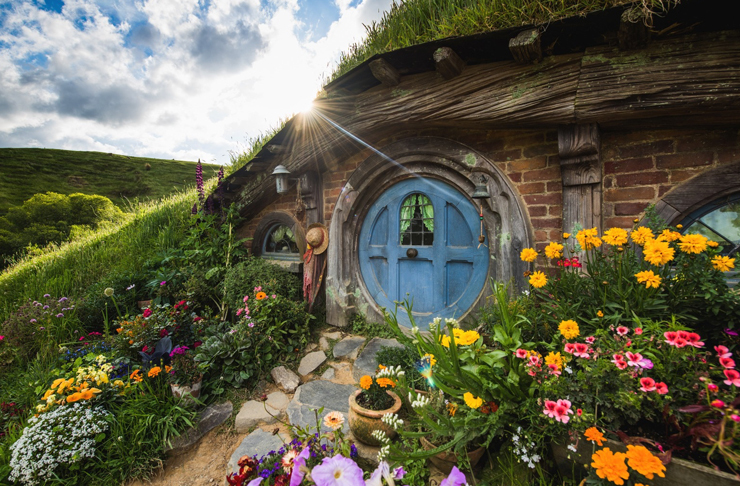 During your visit you’ll be able to explore the movie set in all its glory, wander the paths of the Shire, knock on the doors of Hobbit Holes, have a drink in the Green Dragon Inn, marvel at the beauty of the Kaimai Ranges, and finally, feast on a banquet like a hungry traveller. There are plenty of tour options to fit your schedule and guarantee you’ll find out all the secrets from the set. The Waitomo Region is famously known for the vast Ruakuri Cave, naturally decorated with limestone formations, waterfalls, and glow worms. The glow worms, arachnocampa luminosa, are unique to New Zealand and have found themselves at the top of the must-do New Zealand bucket list. The worms luminate light, creating luminescent ceilings and walls in caves. The Waitomo Glow Worm Tour leads you onto a boat inside the caves which carries you underneath the galaxy of glowworms above. You’ll also enter The Cathedral on the lower level of the cave, which is the largest section of the cave at 14 metres tall. It’s world-renowned for its acoustics, with many artists having previously performed in The Cathedral before. With your ticket, you can also add on extras such as visiting Aranui Cave or the Hobbiton movie set. If you’re looking for a unique experience while in the Tron, touring The Zealong Tea Estate will be like nothing you’ve ever quite done before. Producing 100% organic New Zealand award-winning tea, the grounds are the only commercial estate in the country. During your visit here you’ll be able to take a tour around the tea trail, learn all the history of the camellia tree—the plant to start it all—and engage in a traditional tea ceremony where you’ll learn to appreciate aroma, appearance, and taste. This will be followed by a high tea at the Tea House, overlooking the estate. The Zealong Tea Estate also offers fine dining, private functions, and a flagship store to grab some take-home treats. Waikato’s premier art event is an annual occurrence at the Hamilton Garden’s, celebrating local creative community talents, as well as national and international special events. The Hamilton Garden's Art Festival is held in late February with a range of different events and talents. The 2019 Arts Festival saw NZ legends like Ben Hurley and his 22 Rants About F*ck, Melanie Bracewell and her show Melodrama, and Pax Assadi and his Eye Of The Storm stand-up show. There are also interactive events and garden days with live music, all happening with the beautiful backdrop of the gardens. In an effort to conserve and protect plant and animal species living in the ancient ecosystem on Mount Maungatautari, a safe haven has been set up with a 47 km long pest-proof fence. The sanctuary is a pest-free zone to protect some of our most endangered species such as birds, bats, reptiles, frogs, insects, and flora. There are guided and self-walking tours around the sanctuary, with different tracks and enclosures to discover. Day time tours will introduce you to species like the tuatara and takahe, while dusk til dark tours will give you the chance to hear, and possibly see, kiwis up close. To make things even better, as a charitable trust every cent goes back into the wildlife conservation work done on site. If you’ve always had a need for speed, live out your dreams of being a motorsport legend at the Hampton Downs Race Track. Start things off somewhat slow and hit the track of speeds up to 70km/h in the fast-paced go-karts. When you’re ready to kick it up a notch, experience a real thrill ride as a passenger in a Lamborghini Huracan, Lexus Safety Car, or NZV8 SuperTourer race car reaching speeds of 280km/h. If you think you’re more suited behind the wheel, take the Hampton Downs Mustang for a cruise around. The track is open Monday to Sunday but bookings are essential.